Keywords: Plant alkaloids, antipyretic activity, clinical utility/lead compounds. Keywords:Plant alkaloids, antipyretic activity, clinical utility/lead compounds. Abstract:Fever or Pyrexia means abnormal rise in body temperature above the usual range of normal in response to a variety of infectious, immunological and neoplastic stimuli. To normalize these febrile conditions, several synthetic agents are in clinical practice such as acetaminophen, ibuprofen, and aspirin. However, they are having many side effects which sometimes challenge their applications. The various sources are under investigation worldwide to overcome issues of unwanted effects and to better therapeutic response. In this scenario botanicals such as alkaloids, the most widely distributed and studied plant secondary metabolites, could effectively produce the molecules with better antipyretic effect and safety profile. 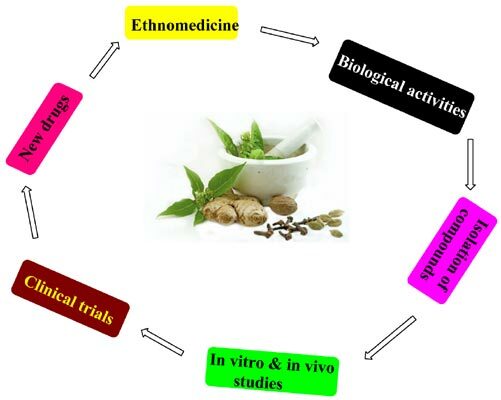 The current review deals with 21 isolated alkaloids from 14 plants species having some antipyretic effect in preliminary screening/preclinical studies with the possible mechanism and structural edges. Therefore, these alkaloids of plant origin are candidates for further detail studies to ascertain their mechanism(s) and clinical utility or as lead compounds for future drugs.